Shanghai Landsea Architecture Technology Co.,Ltd. Changxing Landsea Construction Science and Technology Co.,Ltd. 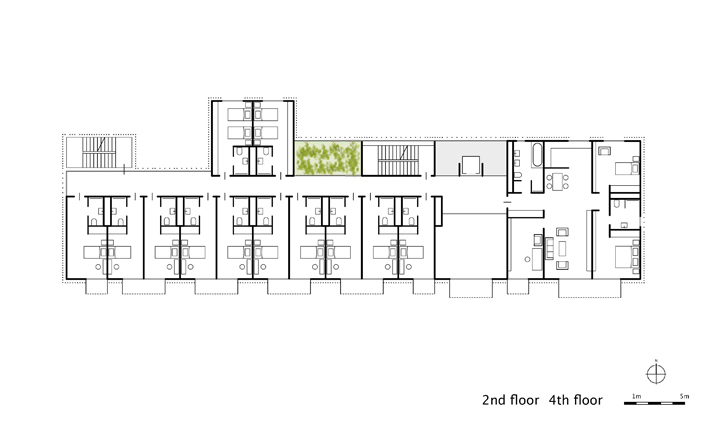 Structural engineering: Shanghai Landsea Planning&Architecture Design Co.,Ltd. Services engineering: Shanghai Landsea Planning&Architecture Design Co.,Ltd. Building quality assurance: Drees & Sommer Sustainable Engineering Consulting (Shanghai) Co.,Ltd. DGNB certification consulting: Energydesign(Shanghai) Co.,Ltd. Building contractor: Jiangsu Nantong Erjian Group Co.,Ltd. Passive House Bruck sets new standards of sustainability through the design of a passive house in Southern China: Passive House Bruck is the first housing of its kind to be realized in the country’s damp, warm, southern climate with approximately 95% energy saving and certification by the German Passivhaus Institut. The building was completed in August 2014 and inaugurated officially. 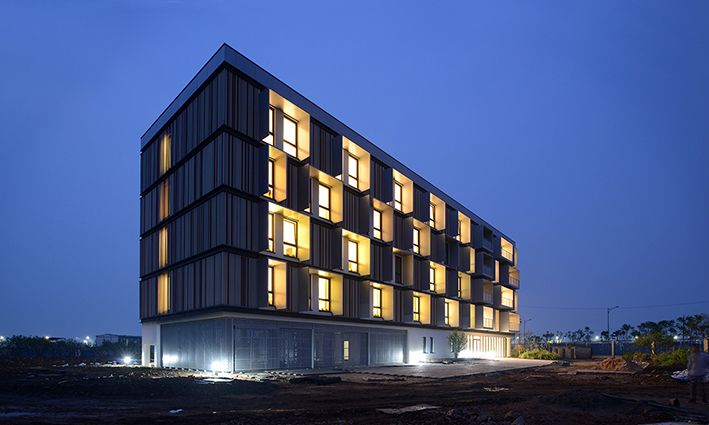 Passive House Bruck is a pilot project, and demonstrates the potential of passive house standards in China. 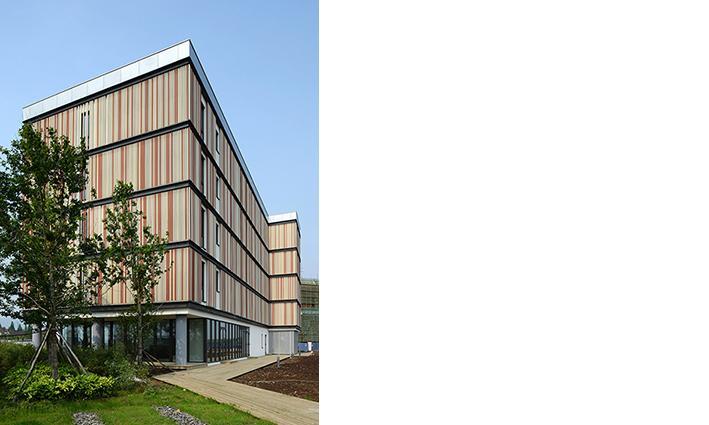 The design, as detailed in the execution drawings, was planned by Peter Ruge Architekten in Germany to improve and implement innovative, energy saving and sustainable building practices in China. 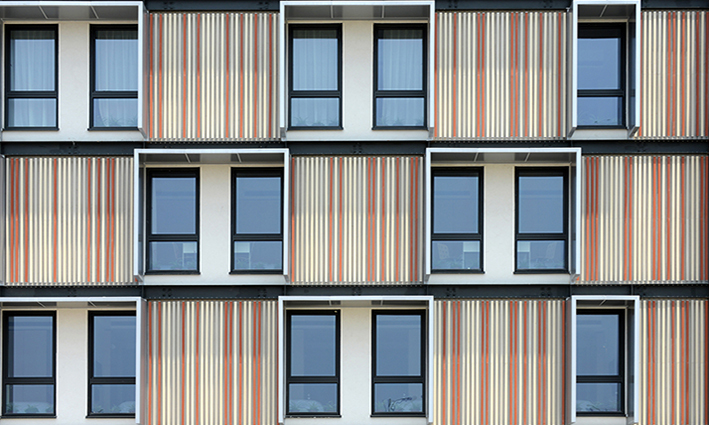 The architects were supported by the engineers of the Passive House Institute Dr. Feist in Germany. It is a flagship project by the recognized Chinese real estate development group Landsea, and the core of the establishment of a research and development centre in Changxing, west of Shanghai. The five-storey apartment complex accommodates in approximately 2,200 m2 36 one-room staff flats, 6 two-room executive suites and 4 three-bedroom model apartments. 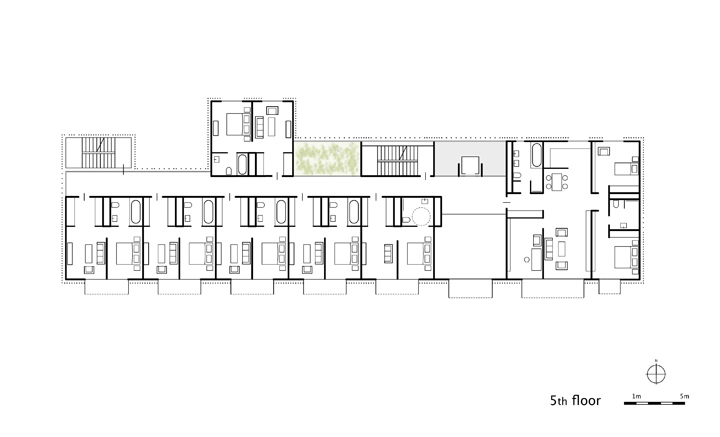 The flats have been planned so that Chinese families interested in the benefits of sustainable housing could be provided with an opportunity to temporarily reside in the building. 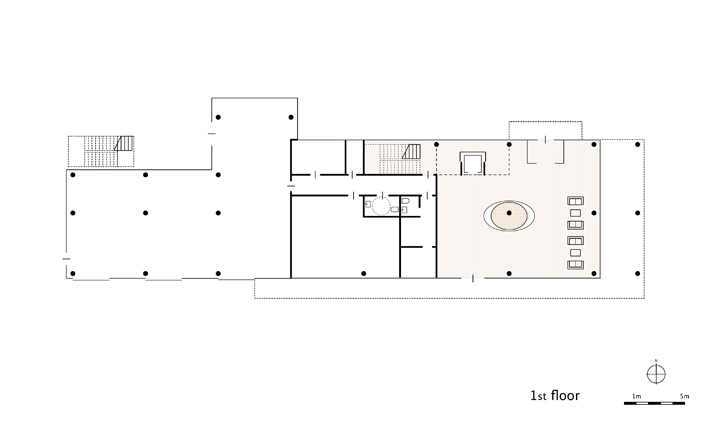 Through this direct experience, prospective clients are able to gain their own understanding of what passive house living has to offer, as the building demonstrates maximum comfort and quality of residence. The aim is to reduce any prior reservations regarding the success of passive house design in extreme weather conditions. 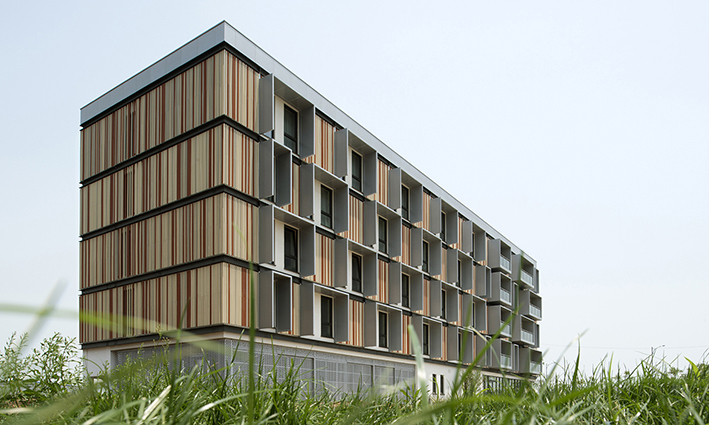 The local climate has shaped the impression of the façade: triple glazed window units have been specifically used in all private rooms and common areas, whilst fixed sun shading elements protect the glass façade in the warmer half of the year. 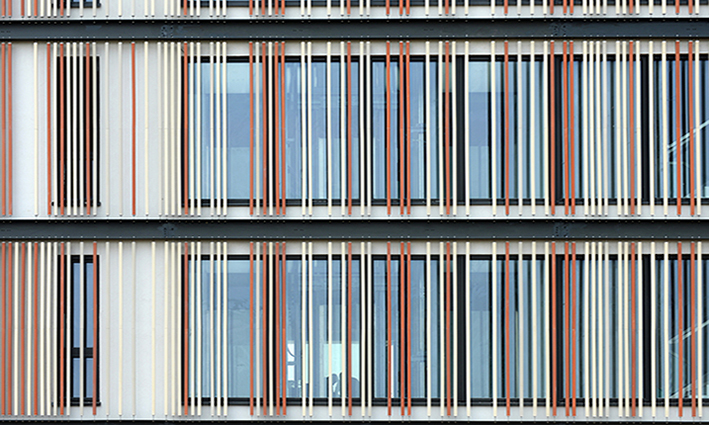 The closed areas of the highly insulated façade act to protect the building shell from intense sunlight through a screen of colored terra-cotta rods. 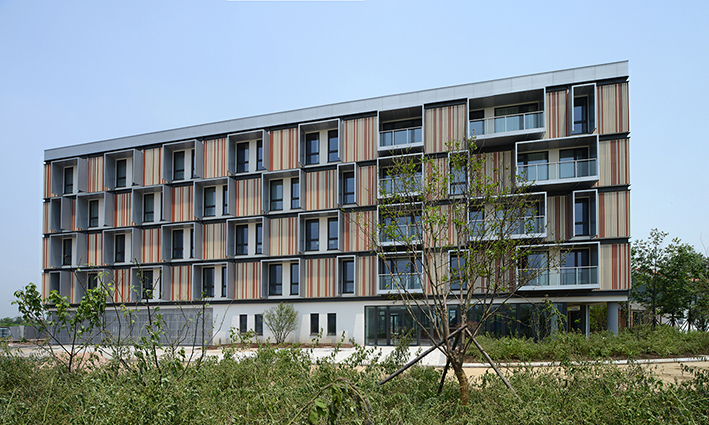 Peter Ruge Architekten have reached, with Passive House Bruck, a new milestone in the sustainable green development of China, and received the Gold Medal for World Green Design Award in 2014 for their planning. 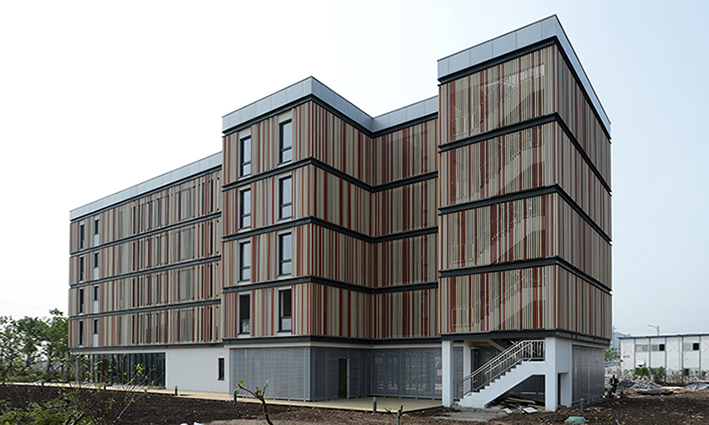 Energy efficient buildings in Southern China are a great challenge due to the climate conditions; they are the answer to the introduction and realization of sustainable and future-oriented passive house standards in the Chinese residential housing market.